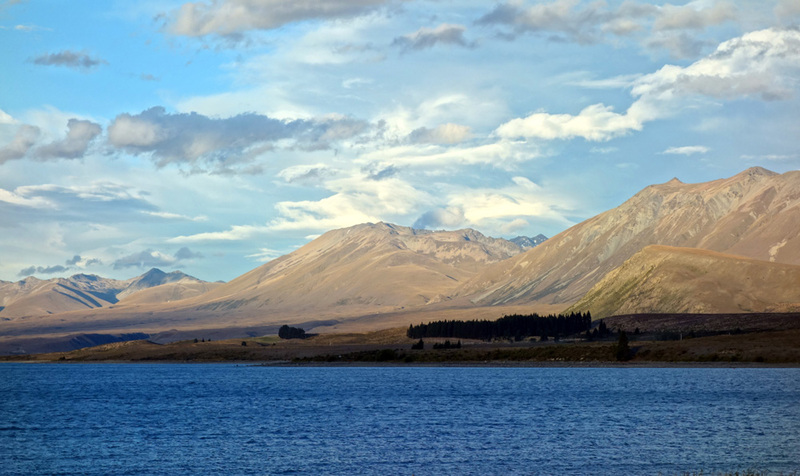 Our last day in New Zealand was spent in Lake Tekapo. 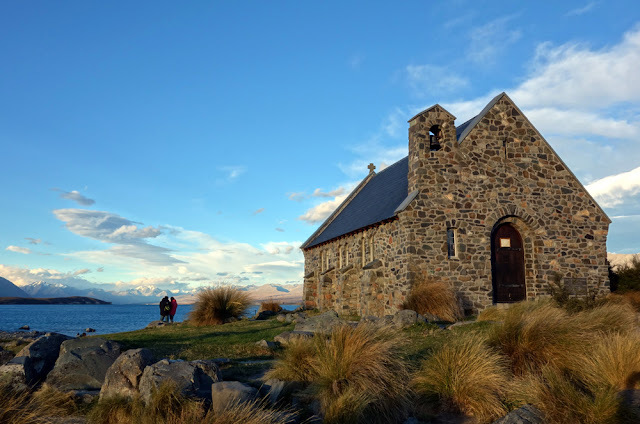 There was nothing much to do at Lake Tekapo except enjoying the beauty of the lake and the lovely church called church of the Good Shepherd, one of New Zealand's iconic picture. I saw many tourist buses stopped at this church for a while, giving the tourists an opportunity to take picture with the church. 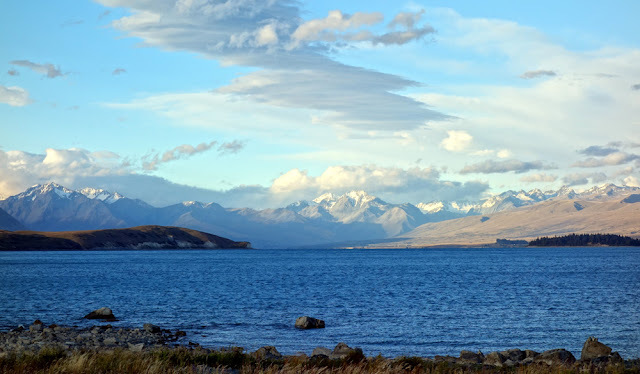 We were fortunate that we had a one night stay at Lake Tekapo. 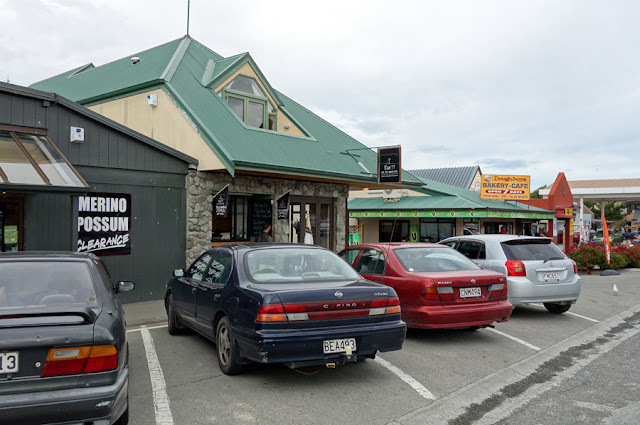 The town center of Lake Tekapo is meters away from the lake. 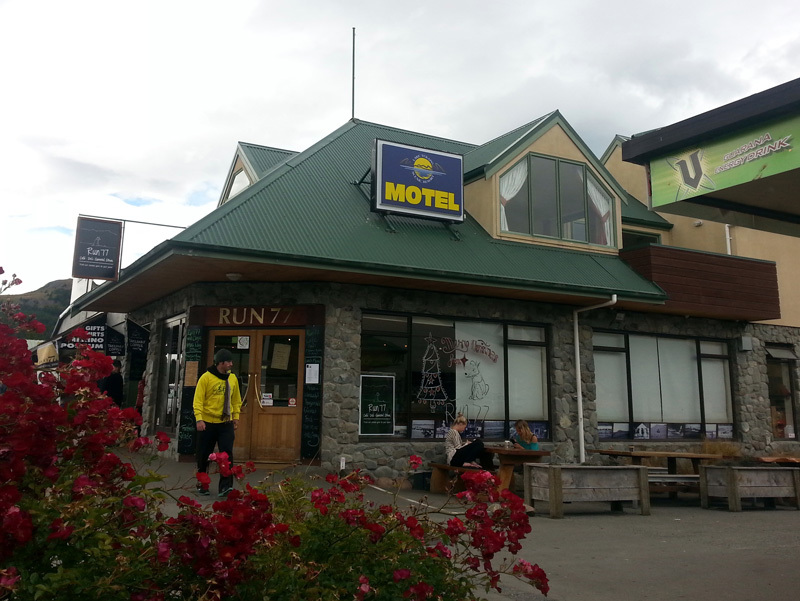 There are hotels, motels, restaurants and shops at the town center. The town center will be packed with the tourists buses around lunch time. 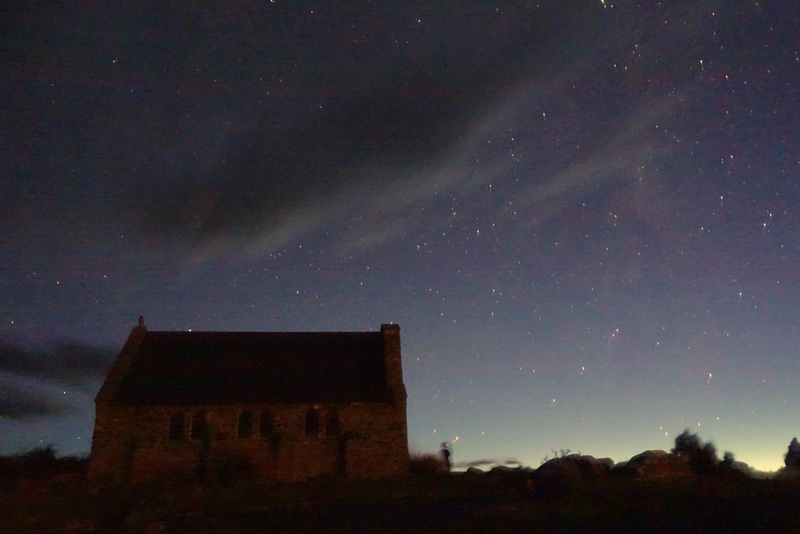 Rene managed to wake up at 03.00 am to capture the stars above the old church. The sky was clear enough to give Rene a dazzling show of flickering lights. 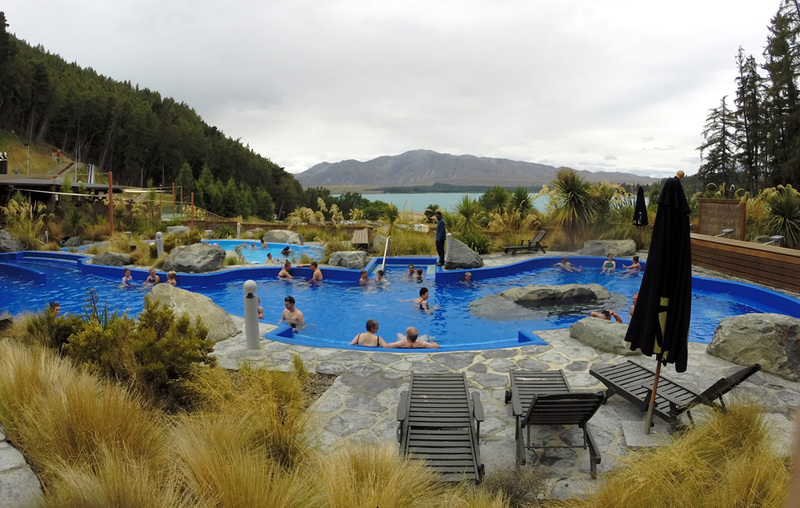 One thing you must not missed if you are visiting Lake Tekapo is to have a dip at Lake Tekapo Hot Spring. 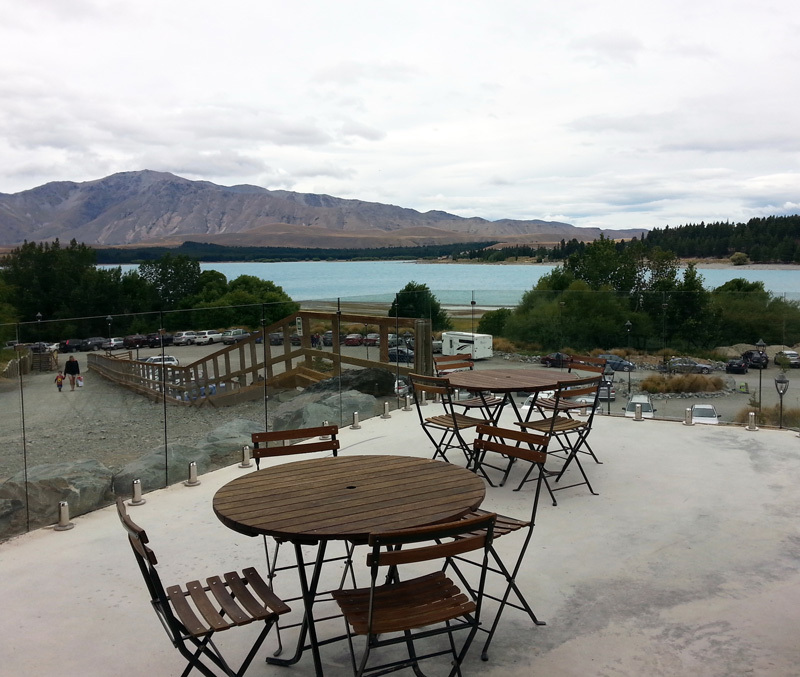 The pool is at the hill overlooking Lake Tekapo. It was just awesome to swim with this incredible view. We bought the ticket to Lake Tekapo Hot Spring at 50% discount from bookme NZD 10 for each person. We only bought the hot pools ticket. There are three pools with different temperature. 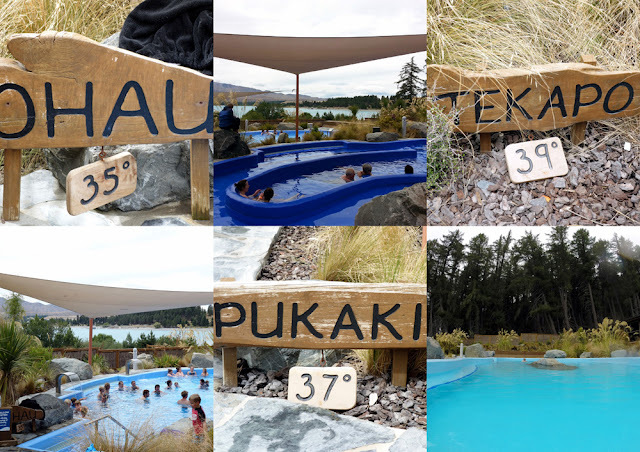 Kiddos were only allowed at Ohau and Pukaki pool. 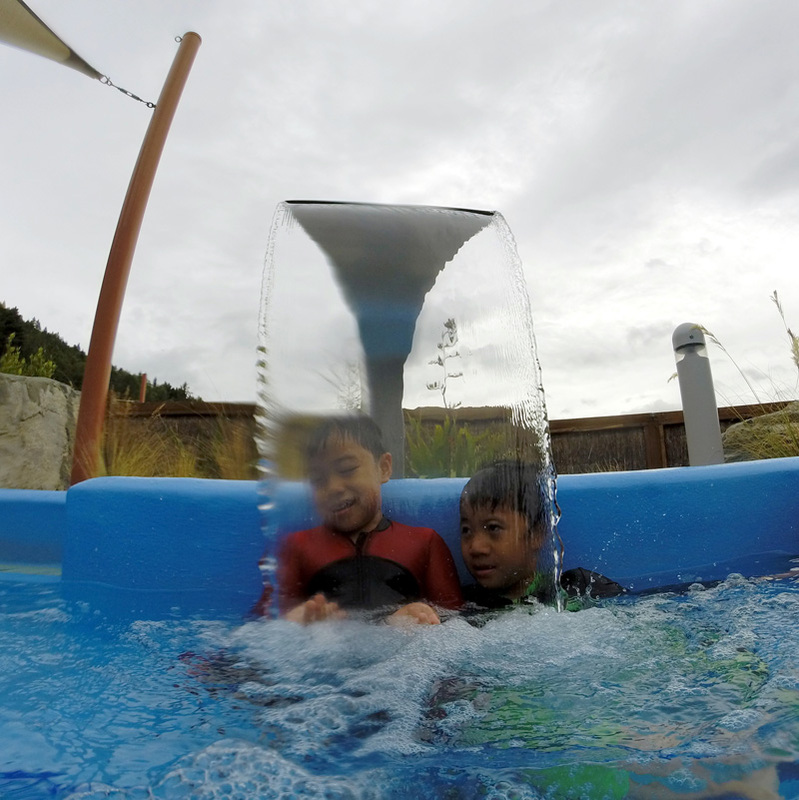 While the Tekapo pool is only for adult due to its temperature. 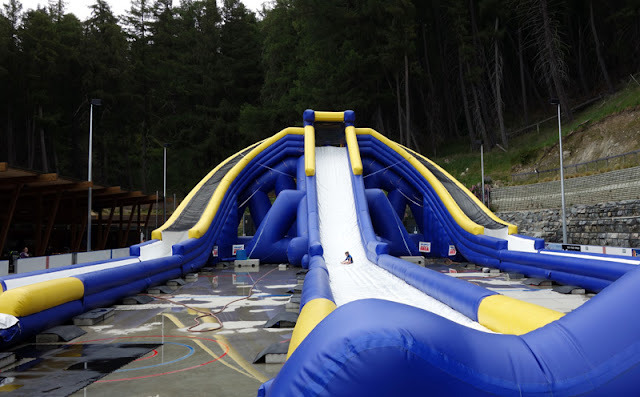 Actually we could also buy a combo ticket which consist of the pool and the Trippo Waterslide. The slide and soak combo ticket cost NZD 36 and NZD 24 for adult and child. 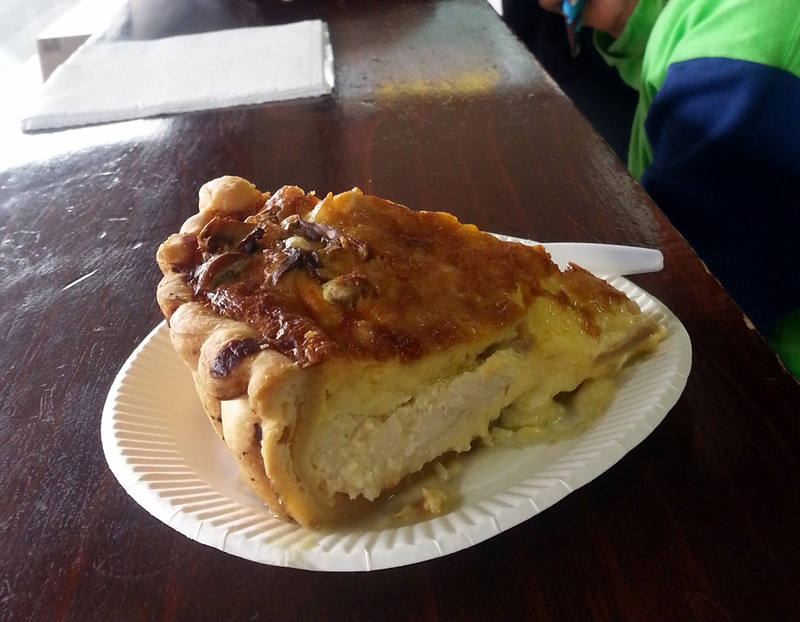 We ended our swimming session at 12 pm and went to the cafe for a while. 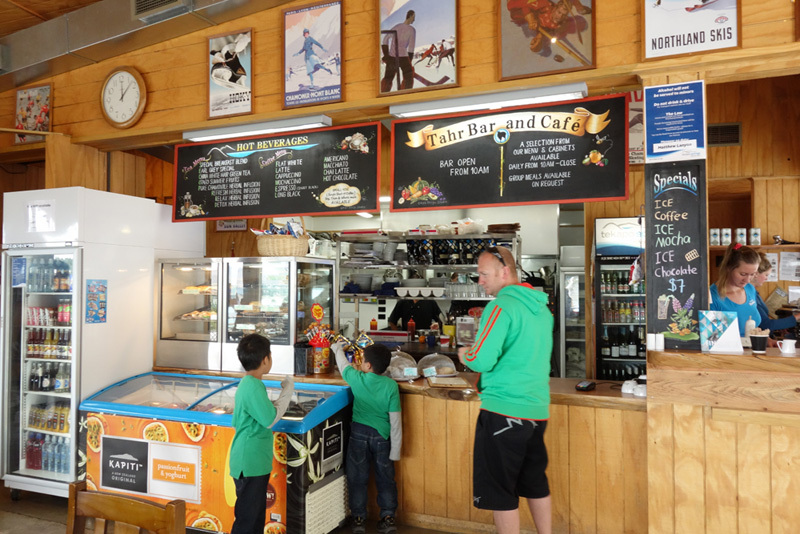 There's also an outdoor space to enjoy the view of Lake Tekapo from the cafe. 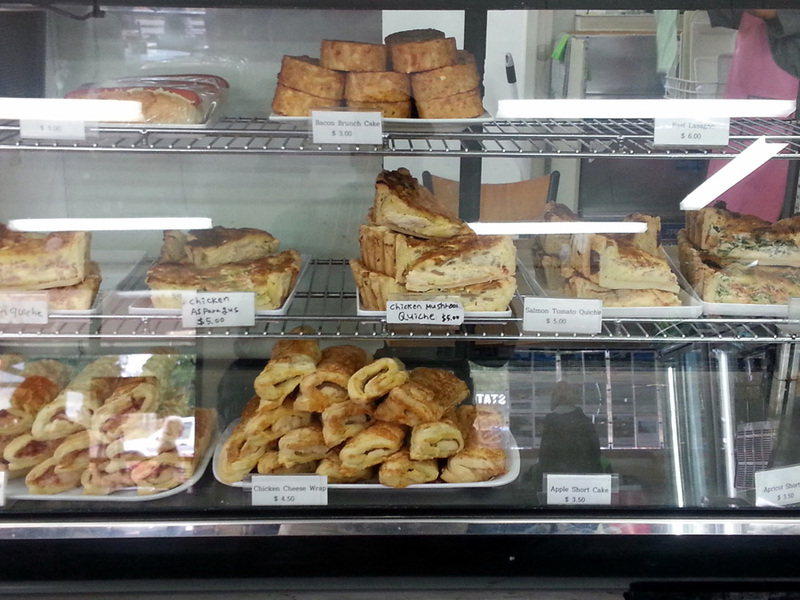 Shall we have a cup of coffee here? Though it was only a short visit to Lake Tekapo, it was a memorable one. I would love to stay here for a week!